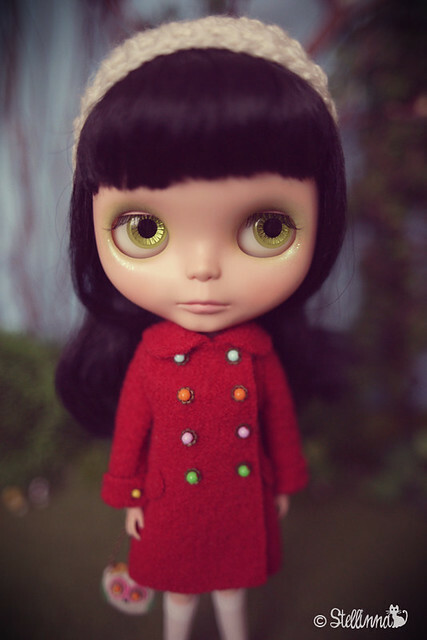 based on this year's theme "Enchanted Forest". 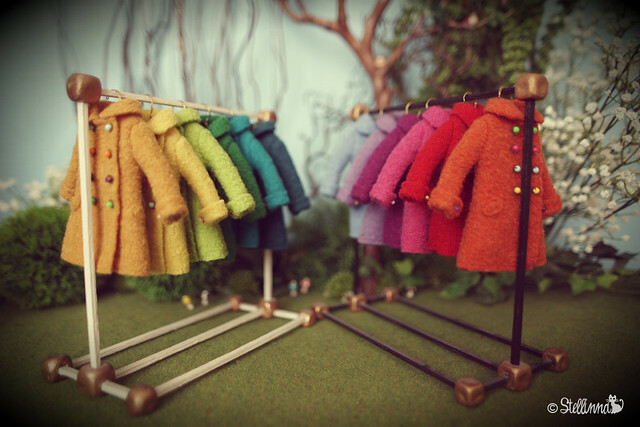 The pure wool coats come in all colours of the rainbow. 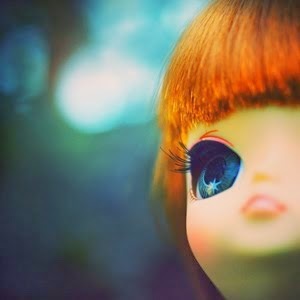 while the smaller sets are designed for Middie Blythes and Secretdolls. 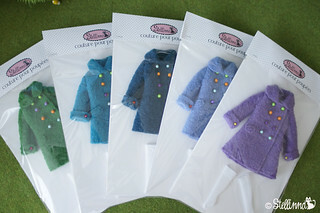 They are 100% handmade are fully topstitched inside and out and come with a tag. 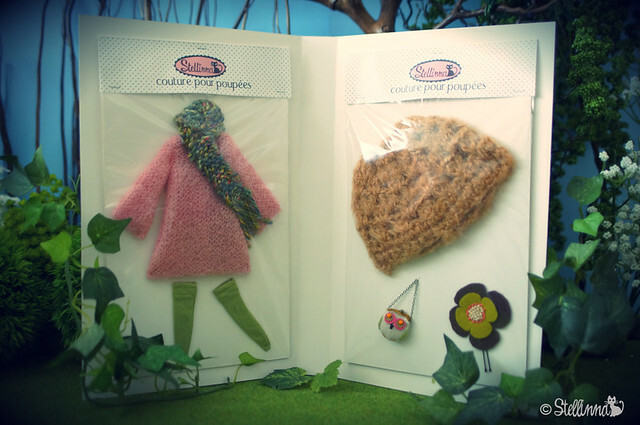 The little owl purses are available in a separate set with a crocheted hat and a flower hair or hat pin. 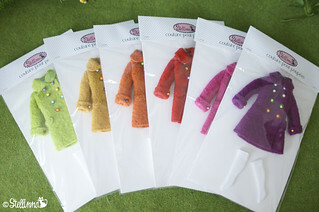 They are made from wool felt and have ... daisy eyes ! 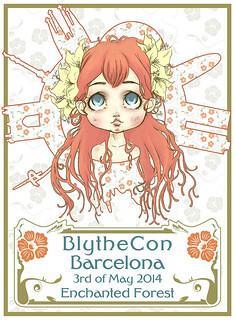 Blythecon Barcelona will also organize a charity raffle. 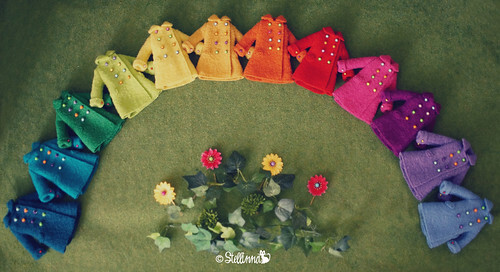 So here is my donation for the raffle !